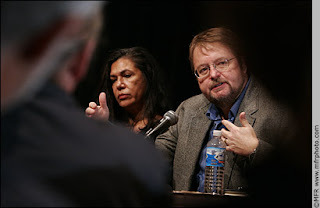 This month I had the pleasure of photographing the Wisconsin Book Festival. 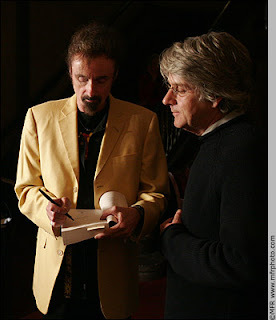 Book readings are like theater — they bring the written word to life in this wonderful, intimate way. Back when I was single and childless, I used to read perhaps 40 books a year. Now, sadly, I'm lucky to get through four. 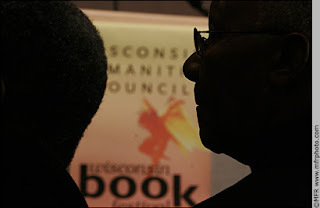 So I'm grateful to the Wisconsin Humanities Council for hiring me and introducing me to some fab new authors. After the festival ended I immediately went to the library and checked out books by Michael Cunningham and Zakes Mda. 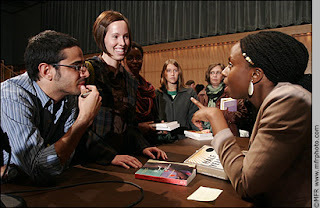 Pictured are authors Chimamanda Adichie (above right) talking with fans; Ana Castillo and Luis Urrea, during a panel; TC Boyle signing books; and my own brothers Peter and Davy Rothbart, doing their Found show. I will be teaching a documentary photography course at the UW Memorial Union as part of their minicourse program. The first class is Monday October 22, 6:30 to 9 pm. Sign up here. 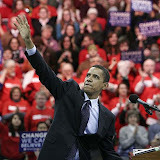 Description: How can you make your photographs tell a story? Do you (sometimes) take great photos but wonder how to make them add up to something more? Explore documentary photo techniques like finding your subject, storytelling and editing, while having fun experimenting with your camera. We will focus on photojournalistic approaches, but the skills you learn will be applicable to any type of narrative documentary, personal, or fine art photography project. Designed for those comfortable with basic camera handling who want to create great images. 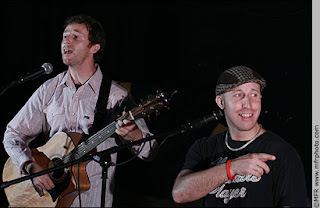 Bring camera and your story ideas to first class. Digital SLR useful but not required. Course meets every other week so that you can work on a story project between class sessions, 10/22, 11/5 and 11/19. (No class 10/29 & 11/12.) 3 Meetings. 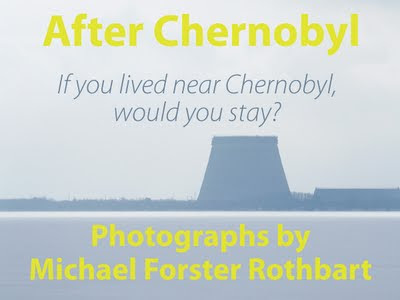 INSTRUCTOR: Michael Forster Rothbart, former UW photographer, just returned from 4 months photographing Chernobyl. There are still seats open. Please spread the word! You can sign up for the class here. The minicourse home page is here. 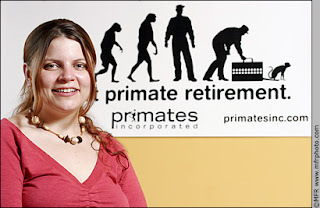 Former primate researcher Amy Kerwin is founder of the non-profit Primates Inc., which seeks to build a primate sanctuary in Wisconsin for retired research monkeys. I shot a portrait of Amy Kerwin for today's issue of Isthmus. It accompanies an essay she wrote, Confessions of a UW primate researcher. The editor wanted a photo of Amy holding a monkey doll. However, Amy feared that would make her look unprofessional, so instead I made some simple portraits of her and her very orange kitchen wall. In a portrait, I usually try to include some relevant element of a person's work or life. In this case, we added a poster showing the logo of Amy's non-profit. The Isthmus preferred the simple shot of just Amy and her orange wall. See the photo and article here.